Misozi Onna wa Romanchikku na Yume wo Miru ka? 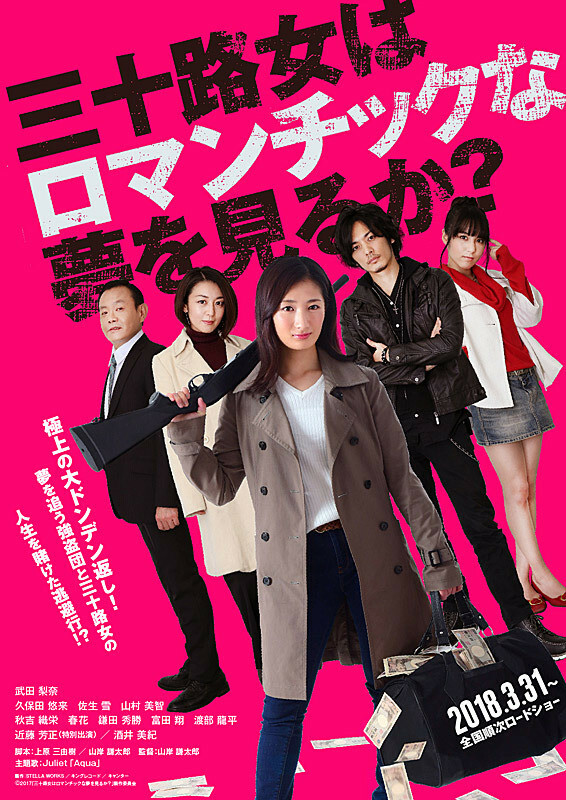 Movie: Misozi Onna wa Romanchikku na Yume wo Miru ka? Romaji: Misozi Onna wa Romanchikku na Yume wo Miru ka? Nana (Rina Takeda) will be 30 years old in a few days. She doesn't have a boyfriend and she finds her job boring. One evening, she goes back to her studio apartment and finds 3 bank robbers there. They are Takuto (Yuki Kubota), Reira (Yuki Saso) and Aoi (Miki Sakai). Nana thinks that her life is over, but the bank robbers act weird. Somehow, Nana goes on the run with the 3 bank robbers.